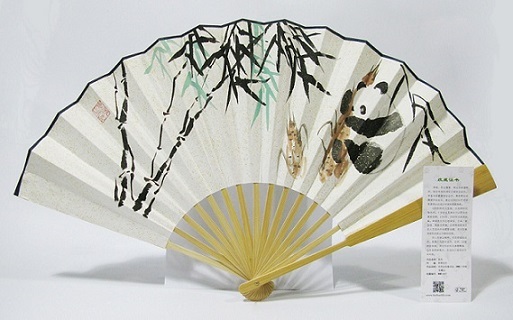 with 100% proceeds for WWF in various countries! All proceeds raised benefited WWF in: UK, France, Portugal, Poland, Canada, USA, China and Hong Kong. 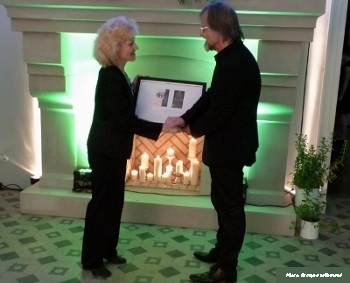 Cælestis association raised in aid of WWF through the charity auction of a unique watercolour (specially commissioned by Caelestis) by the renowned contemporary artist PETER DOIG a stunning amount of £40 000! 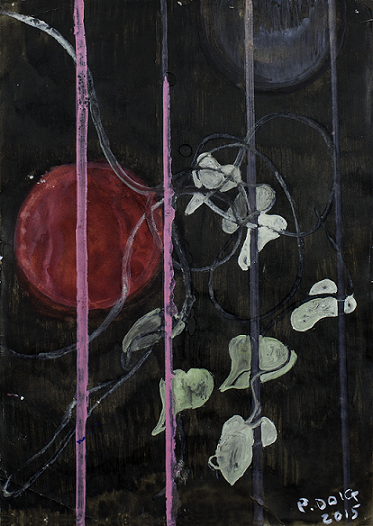 PETER DOIG's original artwork showing a vision of the moon in relation to Cælestis biodynamic wine was specially painted for the association Cælestis and was kindly donated by the artist (gouache and watercolour on paper, 13 3/4 x 9 3/4 in., 35 x 24.75 cm) - photo credit: Richard Ivey. 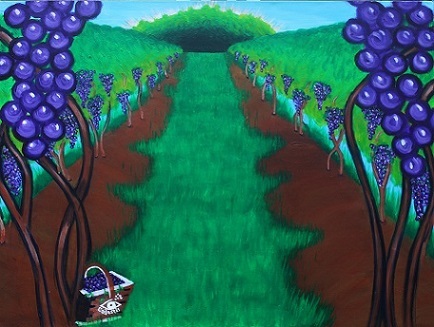 -> Cælestis BIODYNAMIC WINE of Saint-Emilion Grand Cru Classé from the prestigious Château Fonroque adorned with a label mirroring the painting of PETER DOIG, vintage 2011 paired with vivid, lively works by upcoming artists from various countries on the theme 'vineyard', 'grapes' and 'wine'. student at the CPGE applied arts 2nd year at the 'lycée Rive Gauche', Toulouse, FRANCE. 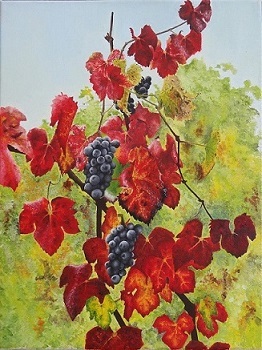 hobby artist graduated from the Faculty of Chemistry, University of Warsaw, POLAND. student at the OCAD University, Toronto, CANADA. 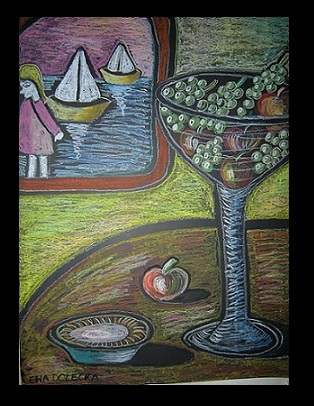 hobby artist from POLAND who graduated from the art school Rosetta Art Centre, London, UK. Attention: Unfortunately tiger bones are still used in wine in Asia. Close to the stars... Shining as new stars, upcoming artists artwork propelled by the master Peter Doig becomes an extraordinary artistic journey through the world vineyards accompanied by the wonderful music "Cælestis Impropmtu" of the generous Oscar-winning composer Jan A.P. Kaczmarek. This video is freely accessible. 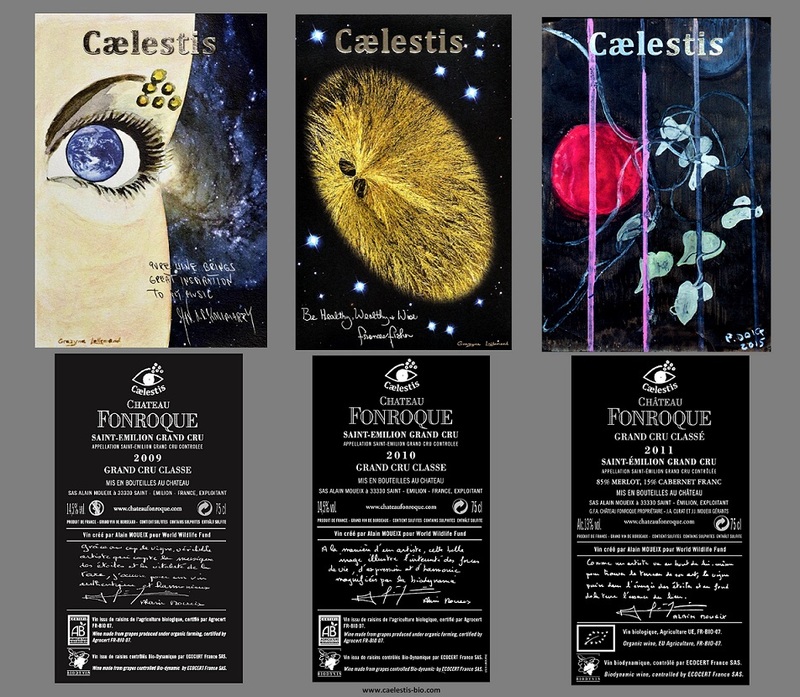 Cælestis wine labels were designed by Grazyna Lallemand and the famous contemporary artist Peter Doig, autographed by celebrieties: the Oscar-winner Jan A.P. 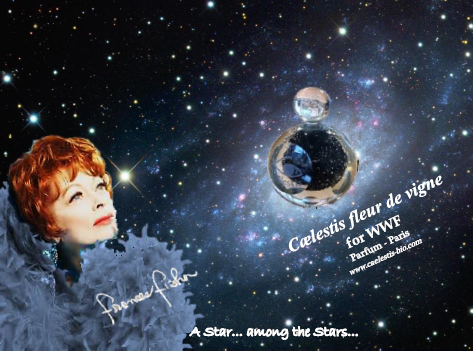 Kaczmarek (music to the film 'Finding Neverland') and the Hollywood actress Frances Fisher. 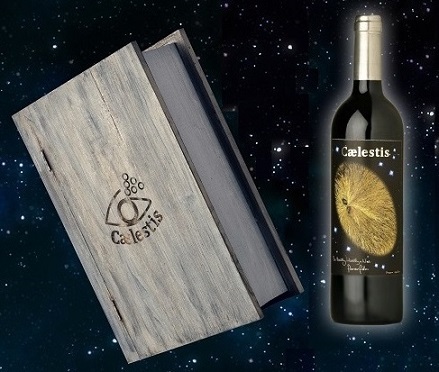 Cælestis wine originates from the prestigious Château Fonroque Saint-Emilion Grand Cru Classé and the back-labels are autographed by its renowned producer and oenologist Alain Moueix. 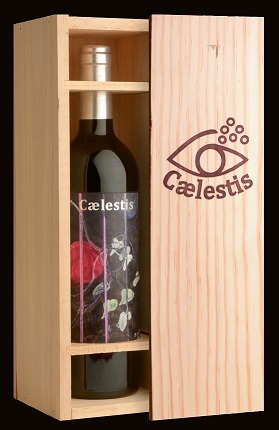 Cælestis original wine label was autographed by a representative of the American continent, the famous Hollywood star - Frances Fisher (*). All the proceeds go directly to local WWF as usual. 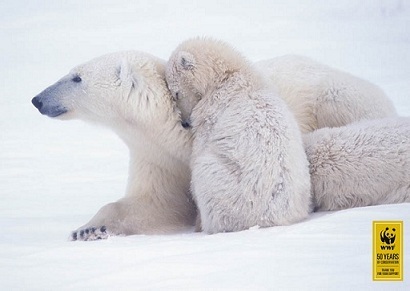 We are very grateful to the first generous anonymous buyers of Cælestis for their contribution to WWF. We are also thankful to all the people who helped us to create the first Cælestis and organise the first auctions. 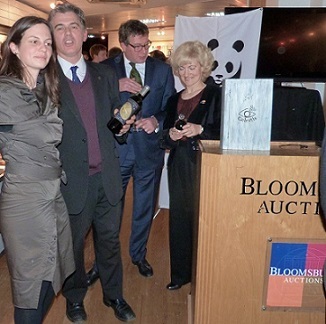 UK, London, 27 Nov. 2012 - The first Cælestis auction "live" and "online" for WWF UK was a great success. In total £825 were raised. 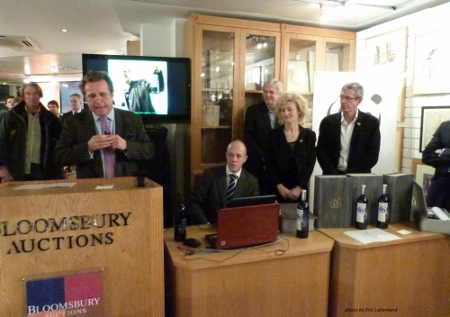 guests enjoyed the pre-auction cocktail with the premiere of Oscar winner Jan A.P. 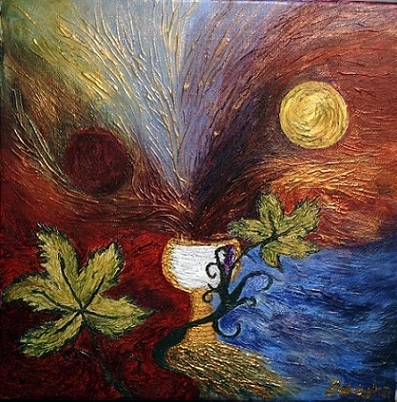 Kaczmarek's music "Cælestis Impromptu" and the “official” “Transatlantyk” International Film and Music Festival bio-dynamic wine. Cælestis charity auctions are carried out annually and all proceeds donated directly to the WWF in each country where the auction takes place. Each year a different vintage with a unique and original label signed by a celebrity is offered. © Cælestis 2012 FRANCE. All rights reserved. Alcohol abuse is dangerous to your health. 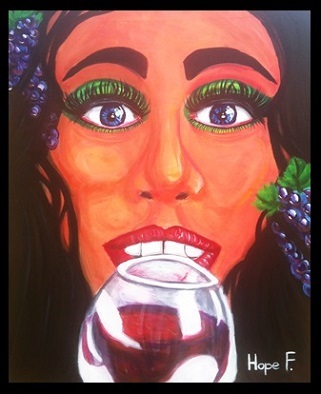 Drink in moderation. Consume responsibly. Prohibited to prohibited to pregnant women and persons not having legal age* (*ex. less than 18 years of age).